The major in urban studies and public policy is designed to prepare students for careers in public service or private corporations involved in public issues. Career paths include government, law, city planning, non-profit management and public policy analysis. The curriculum explores urban issues in real estate development, transportation, land use and housing that focuses on finding solutions to inner-city problems such as unemployment, poverty and crime. Understand the relationship between the urban environment and human behavior. Identify the causes and effect of urban problems. Quantify the costs and benefits of public programs in order to conduct rational policy analysis. Propose practical solutions to social problems. Communicate complex policy issues in a clear and concise manner both orally and in writing. Influence the political process by explaining policy solutions to both public officials and the general public. 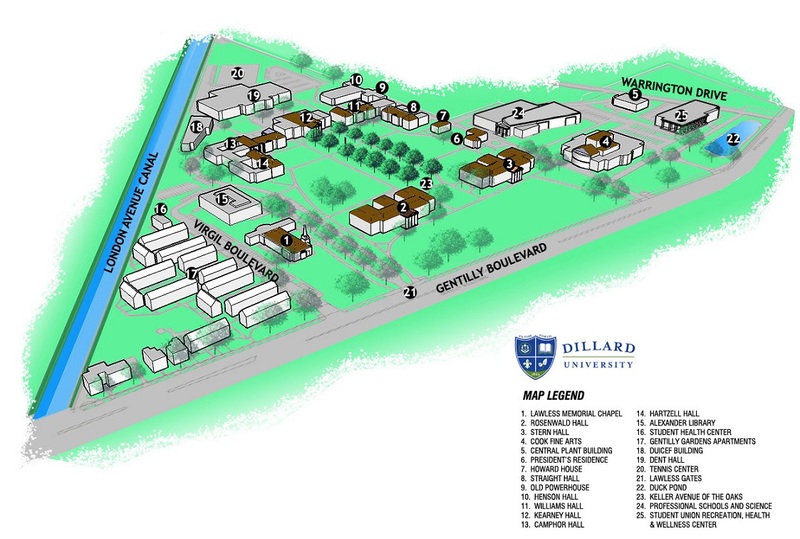 Dillard University Community Development Corporation (CDC). The Dillard CDC - a non-profit corporation involved in urban revitalization by offering city planning services to the community, as well as offering homebuyer training and financial assistance to residents interested in purchasing or renovating homes in the Dillard neighborhood. URB 204 - Introduction to Urban Studies 3 cr. URB 205 - Introduction to Public Policy 3 cr. URB 206 - City and Metropolitan Planning 3 cr. URB 304 - Research Seminar 3 cr. URB 311 - Urban Government and Politics 3 cr. URB 335 - Introduction to Geographic Information Systems 3 cr. URB 411 - Housing Policy 3 cr. URB 412 - Urban Land Use Policy and Real Estate Development 3 cr. URB 431 - Internship 3 cr. URB 450 - Senior Seminar 3 cr. GEO 115 - Principles to Geography 3 cr. HIS 201 - U. S. History 1607 to 1865 3 cr. SOC 308 - Social Research 3 cr. Minor or General Elective: 24 cr. Social Science Elective: 3 cr. URB 499C - Senior Comprehensive Examination 0 cr.